CJ Korea Express is South Korea's largest express courier company, delivering over 20 million packages a day to over 100 countries around the world. The system was designed to sort parcels and packets up to 50kg and is planned to be completed by June 2018. The system will then provide the customer with a sorting capacity of up to 162,000pph. In 2013, CJ Korea Express already awarded Fives with a “multi-site project” to design and supply three cross-belt sorters at Daejeon, Snagnok and Gwanak sites, Korea. This project was delivered on schedule due to very good coordination between Intralogistics teams in a very tight schedule. 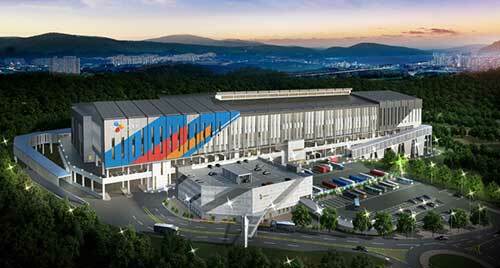 This new contract for the site of Gwangju confirms the customer’s trust in Fives as a genuine partner on major projects.